Group C Hype: There will be Blood. Samsung Blue When you tune into the 2014 World Championship on October 19th, there’s one chant you may expect to hear. DA-DE. DA-DE. DA-DE. DA-DE. For most, being a professional gamer is just a dream. When you tune into the 2014 World Championship on October 19th, there’s one chant you may expect to hear. For most, being a professional gamer is just a dream. For those skilled enough to compete at the highest level, there’s a different dream. For the members of Samsung Blue and every other Korean team, the dream is to take home the League of Legends World Championship in front of their home crowd. Most competitors grow up imagining what their name would look like in lights, and the sound of the crowd as they take the field. Most of us will never hear it, but if all goes according to plan, the name you’ll hear echoing across Sangam Stadium will have two syllables: DA-DE. When we’re at our lowest point, we’re open to the greatest change. For Samsung Blue’s star mid laner, Dade, rock bottom was last year’s World Championship. Eviscerated by analysts and the community for his non-existent Champion Pool, poor Mechanics, and exploitability, Dade’s performance was a major factor in Samsung Galaxy Ozone’s failure to qualify for the knockout stage. After an equally poor performance in the subseuqent winter season of OGN, the Samsung organization swapped the mid laners of their two teams, in what may go down in history as the greatest roster swap of all time. In the half year since then, SSW has morphed into one of the very best teams in the world, and Dade into a player worthy of a spot beside Faker as one of the very best players in the world. This Dade returns to the World Stage a completely changed player. This Dade has a massive Champion Pool. This Dade was the MVP of OGN Spring. This Dade is looking to knock Faker off his throne. And he’s not alone. SSB fields World Class talent at every position, with Spirit, Acorn, Deft and Heart all having strong arguments as top 3 at their position, and in some cases top one. It’s a common mistake for fans to paint the players with the same brush as the team, but this SSB is nothing like the MVP Blue that spent all of 2013 as an OGN doormat. And Dade is nothing like the player who failed at last year’s Worlds. They will be ready. The question is, are the rest of Group C? Passion is both a gift and a curse. When it burns, the impossible can happen. But when it falters, so can disaster. Fnatic always seems to walk the razor’s edge between the two. They will go on massive win streaks, only to get cocky and follow those win streaks with equally long losing streaks when they stop taking the game seriously. It’s a pattern that’s haunted them every single Split of the LCS, but until this past summer split, they’d always managed to get things together in time to make a run through the playoffs and grab their customary 1st place finish. Not this time. In falling to Alliance, Fnatic failed to win the EU LCS for the first time ever, and enter this year’s World Championship as a question mark. But if you think they don’t have a shot, then you’re forgetting you’re history. Season 1 World Champions. Season 3 Semi-finalists. There’s something about Fnatic and the World Championship that just works. Maybe they’re just one of those teams that plays to the competition, and needs the World Championship to bring out their best. Maybe it’s because the Meta always seems to be in their favor when Worlds rolls around (Welcome Back, Assassins). Maybe they have “It”. What is “it”? Sports Writers have been trying to define “it” and “clutch” for as long as there have been sports. Some players have it, some players don’t. Whatever it is, Fnatic has it. So yes, Fnatic enters this year’s World Championship with a lot of question marks. Is Rekkles the ADC prodigy everyone claims him to be? Can xPeke have the same impact he did last year without the threat of Kassadin? Which Fnatic will show up? But they also have a lot of answers. If Dyrus is the greatest Top Laner in the history of North America, then Soaz is his counterpart across the pond. His ability in innovate picks in the top lane may be the bridge that leads Fnatic to victory. Yellowstar stands as an Elder of the region, steadfast in his play and shotcalling, and a rock for the team to rely on. And xPeke is still xPeke, the player who always seems to be in the right place at the right time. And their opponents better not forget the Maestro of the Baron steal, Cyanide in the jungle. As long as there is a World Championship, there will be a Fnatic. And until they prove otherwise, they will always be a threat. The story of LMQ is the story of the American Dream. To this day, the risk LMQ took to chase their dreams stands as one of the most underappreciated stories in League of Legends. This time last year, Ackerman was the starting top laner for a Royal Club team that made it all the way to the World Finals. The rest of LMQ was sitting on a sister team, with little chance of qualifying for the main squad. Tired of the weak infrastructure and corruption in the Chinese scene, LMQ made the risky decision of moving their entire team to North America and trying to qualify for the NA LCS the hard way by climbing the ladder, and making their way through the NACS. They risked their careers, the potential animosity of the fans on both sides of the world, and started from the ground up. Their hard-work and dedication were rewarded with a spot in the Summer Split where their cheerful dispositions and unadulterated joy for the game quickly endeared them to fans of the NA LCS. By trying their hardest to become a part of the NA Region, learn english, and interact with the community, LMQ earned themselves the respect of their fellow players, and the fans. And they are better for it. 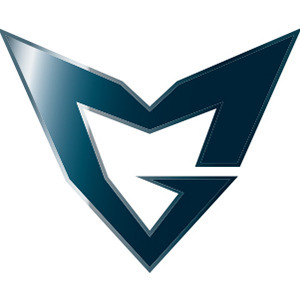 It’s been a pleasure watching LMQ grow over the course of the split, even as they dealt with an ownership dispute that must have had their players thinking to themselves, “not again”. While maintaining the patented chinese aggression, LMQ has also learned from their new region, showcasing an increased strategical understanding of the game, and a surprising level of methodical control. This LMQ may have left the Chinese Region, and returned to Worlds better than any of the teams they left behind. In a group that looks to be the bloodiest of the lot, don’t be surprised if LMQ comes out near the top. A piece of advice to the other teams in the group. Ban Tristana. Between the EDG hype, and Royal Club’s status as former World Finalists, it seems like the team Montecristo said was a decent coach away from being the best team in the world has been forgotten. But in Cool, OMG has a Mid Laner looking to prove that the conversation for best Mid Laner in the world contains more than just Korean players. Gogoing may be the best player you’ve never heard of, and in Drug, OMG has a tactician whose unique jungle style and picks make him one of the biggest wild cards in the group. While EDG seems to have their number, it is OMG who stands as the biggest Chinese threat to the Koreans. And make no mistake, after Royal Club last year, and EDG this year, this is an organization that is tired of playing second fiddle to their upstate countrymen. And it just so happens that their style plays right at the weaknesses of SSB, who is known for falling behind early. This OMG team is uniqely qualified to take down the titans from Korea, and as AHQ has already shown this past weekend, it only takes a single loss to turn an entire group on its head. In a group expected to be a blood bath, whos’ better qualified to escape than the team from the region that bathes in bloody battles.